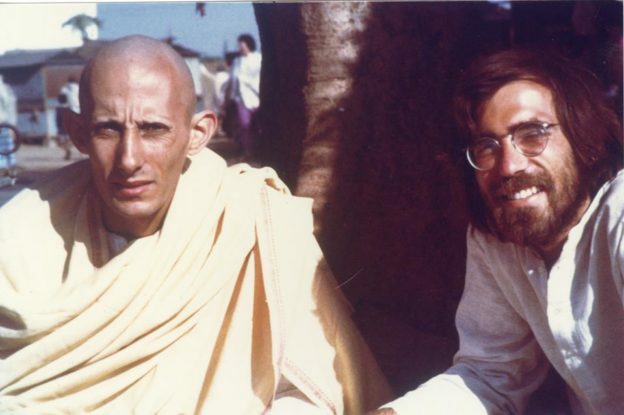 Photo: Jack Kornfield and James Baraz in Bodh Gaya, India, 1976. James Baraz recently interviewed Buddhist teacher and author Jack Kornfield for the Awakening Joy series “Conversations with the Wise.” Jack trained as a Buddhist monk in the monasteries of Thailand, India and Burma. He has taught meditation internationally since 1974 and is one of the key teachers to introduce Buddhist mindfulness practice to the West. Jack co-founded the Insight Meditation Society in Barre, Massachusetts. In addition, James and Jack are founding teachers of Spirit Rock Meditation Center in Woodacre, California. Jack’s books have been translated into 20 languages and sold more than a million copies. They include, A Wise Heart: A Guide to the Universal Teachings of Buddhist Psychology, Bringing Home the Dharma: Awakening Right Where You Are, and his most recent book, No Time Like the Present: Finding Freedom, Love, and Joy Right Where You Are.